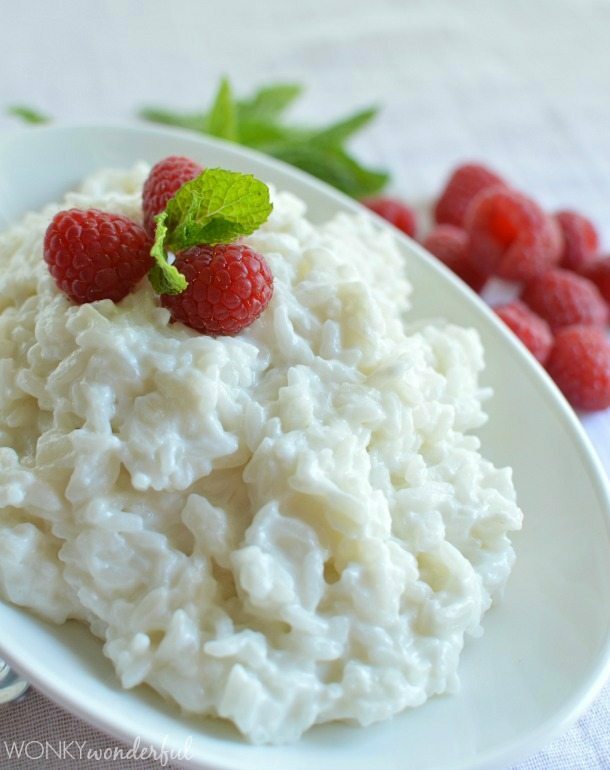 Dairy Free Rice Pudding is easy to make and tastes unbelievable! Just use Silk Coconutmilk to make this indulgent vegan dessert. 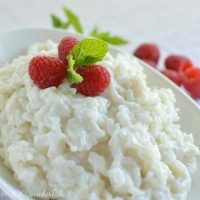 Rice pudding needs to be thick, sweet and creamy. This can be done without using cream or milk. I use Silk Coconutmilk. 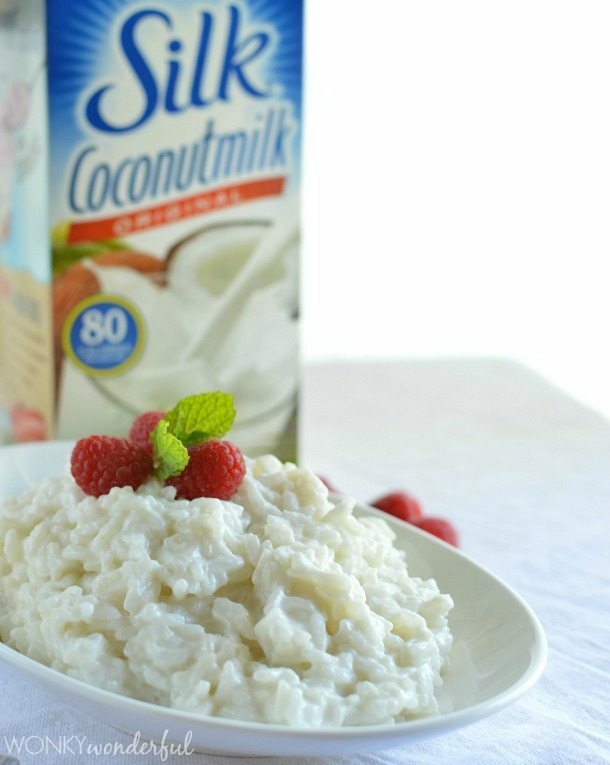 This Dairy Free Rice Pudding is creamy with a mild coconut flavor. 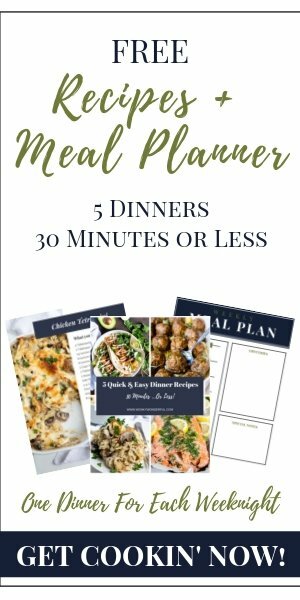 It is also a vegan recipe! 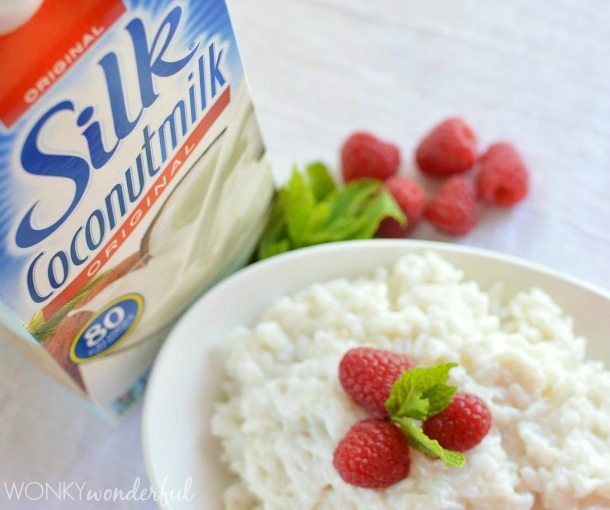 Silk Coconutmilk is one of my favorite ingredients. You can always find a carton in my refrigerator. I love to use Silk instead of regular milk to create healthier, dairy free versions of my family’s favorite recipes. Not only are Silk product dairy free and gluten free, they are Non-GMO too! Check out Silk on Facebook for more recipe ideas! Sign Up Now and be the first to know about Silk giveaways, offers and recipes! I infused this rice pudding with fresh mint flavor. It would also be fantastic with vanilla or cinnamon instead. The mint and fresh raspberries, along with the mild coconut flavor was a nice change from traditional rice pudding. 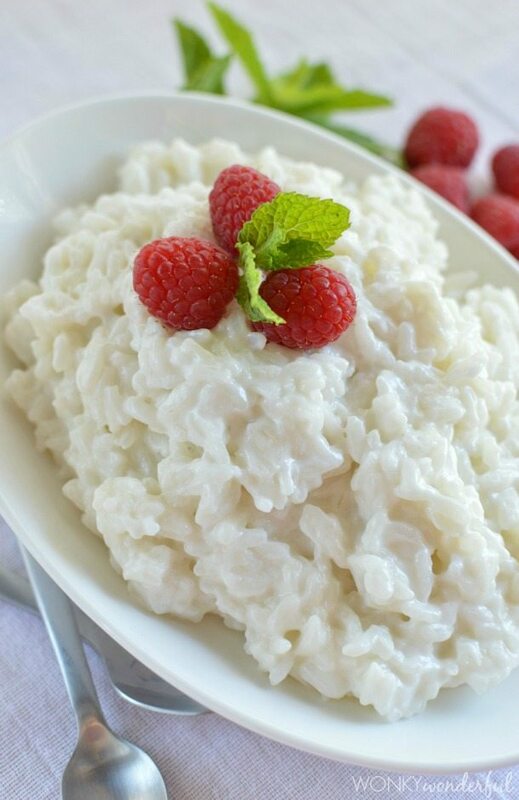 This Dairy Free Rice Pudding is super simple to make. It’s as easy as . . . well, cooking rice. Just cook white rice in Silk Coconutmilk. Add a couple mint leaves while cooking to infuse the unique flavor. Continue to cook and thicken. Add more Silk Coconutmilk as needed. Then dress it up however you like! I decided to top my rice pudding with fresh mint and raspberries. 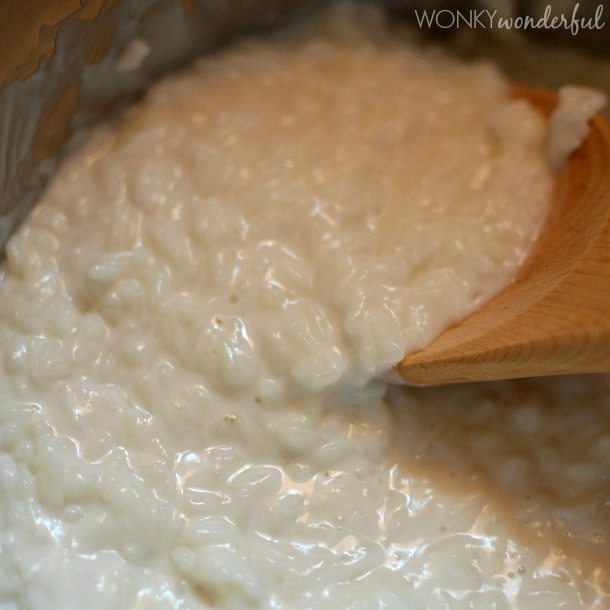 Combine all rice pudding ingredients in a 3 quart pot. Bring to a boil over medium heat. Reduce heat to meduim/low. Remove mint leaves. 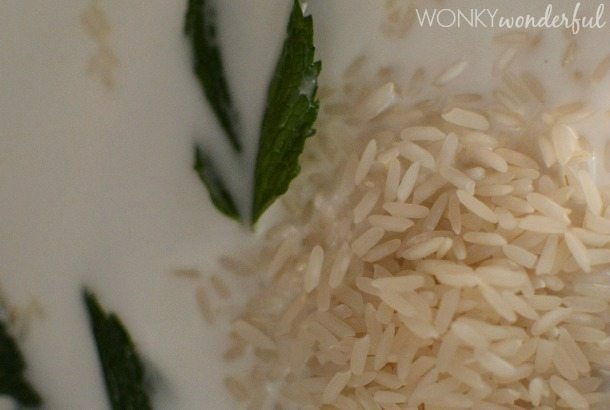 Add more coconut milk if rice is not soft. Continue to cook until rice is cooked through. Stir continuously the last 5 minutes. Serve warm or cold. Top with raspberries and mint.